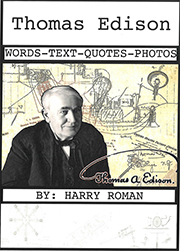 Thomas Edison is the world gold standard for invention and innovation. No one has ever duplicated the sheer volume and depth of his 1093 patents, virtually defining the standard of living we enjoy today. He invented both products and systems to support those products. 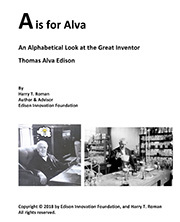 His classic inventions were the phonograph, the electric light bulb and electric power industry, and motion pictures. Thomas Edison went on to systematize the process of invention, transforming it from a cottage industry into an industrial powerhouse that led to the modern day concept of R&D labs in most Fortune 500 companies. Some would say this was his greatest invention, codifying the process of invention, allowing industry to continue indefinitely, and scientifically, the industrial revolution of the late 1800s. His work in the early 1900s on electric vehicle storage batteries, and his vision for clean urban transportation, anticipated the importance of electric cars today. Most solar energy companies today are quick to quote how Edison recognized the importance of solar and wind energy in the late 1920s for what he envisioned then as the future double-barreled problem of fossil fuel scarcity and attendant air pollution concerns. No wonder LIFE magazine named him The Man of the Millennium. His life-long habit of keeping notebooks and careful documentation of his inventions and communications leaves a rich legacy of the man and the times. Over 4,000 notebooks and other drawings, sketches and correspondence leave us with over 5 million documents from which we are still learning about this most unique man. 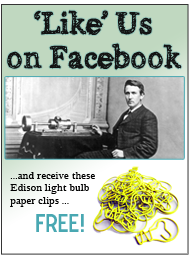 At a time of no mass media, when magazines and newspapers were the major form of communication, Thomas Edison had the most recognized face in the world. It was fame backed up with incredible accomplishment. Imagine what this creative man could have done if equipped with the tools and communication outlets of our time. We are so much richer because he passed our way. In a world where schools and businesses are recognizing the importance of creativity and innovation for global competition, the memory and life of Thomas Edison is a bright beacon.